Most of us will be an ardent fan of vintage games which got released by GBA, NDS, GBC, PSP and much more. There are few apps where we could make this possible in our android and iOS devices and we are going to talk about an application called HandJoy Emulator. 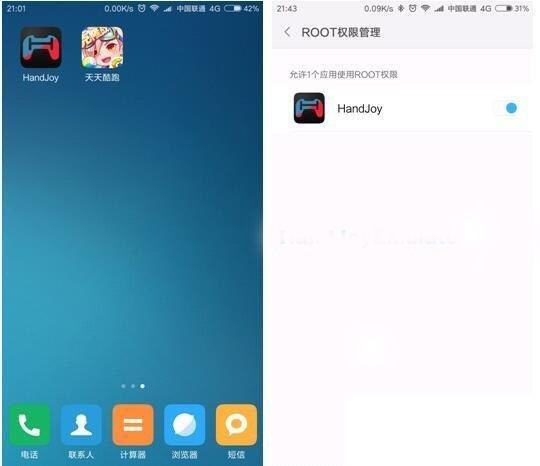 In this article we will talk about installing HandJoy Emulator for iOS, Android and PC. HandJoy Emulator is an application which will lets you to play your favorite vintage GBA, GBS, NDS games without any hassle. HandJoy Emulator constitutes a lot of fetures which we will go through below. In this early release phase of iOS 11 and 11.1 beta, most of the users would have started searching for some working gaming emulators and we have updated this article HandJoy Emulator for the latest versions. Most of us will love to play vintage and new games on our device and in terms of that, handjoy is amazing because it offers a huge collection of both vintage and modern games for free. Features of HandJoy Emulator for iOS, Android and PC. Apart from the other gaming emulators available in the market, HandJoy is pretty different where it offers a lot of different platforms like Game Boy Color, Nintendo DS, Super Nintendo, MAME, PSP and much more. The user interface is so cool and amazing, where we will be able to sort out the emulators and roms in a simple way. The storage space which this application offers is really a minimal one. The database as we mentioned earlier, offers a lot of both old and vintage games which are for free. Download and Install HandJoy Emulator on iOS for iPhone/iPad. As we mentioned earlier, Handjoy emulator give the gaming access to many different platforms and the installation process won’t be an easy one for a newbie. We have briefed each and every steps, just follow it up. 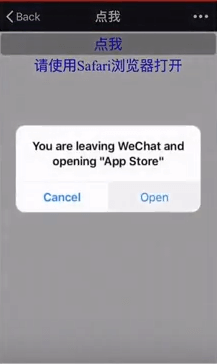 First of all, Install WeChat from the iOS AppStore and sign in with your Username and Password. If you aren’t a registered, just sign up as its an easy process. After signing up, you will be able to find a search box in the top portion. Enter HandJoy App and a drop down will list below. Tap on the HandJpoy App and it will be redirected to the app page. Search for HandJoy emulator and select the app from the drop down. 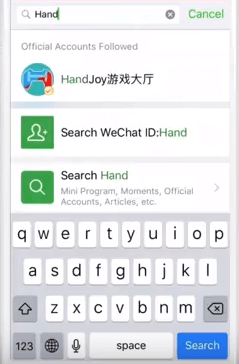 Now a new message will pop in the WeChat and you will be able to see 3 tabs below in Chinese language. You need to press the middle tab and select HandJoy from the Popup. Now the message list will get refreshed and you will get a new message and click on the link from that message. Once you have done that, you will be able to see 2 options and click on the first one. Now a pop up will hit up like You are leaving WeChat and Opening “App Store”. Click on open and you will be redirected to another pop up shown below. Tap on the Install option and HandJoy Emulator will start to get installed. Tap on Open to open the Appstore and download HandJoy emulator. The next step is that, Navigate to the Settings page and tap on Profiles and Device Management. From there tap on a profile named as ‘SD Solutions Commercial Limitada EPP’ and click on the trust option. Thats it and now you will be able to access HandJoy Emulator on your iPhone/iPad. We have updated this article for the latest iOS versions like iOS 11 and 11.1 beta, and this method will work on most of the iOS versions like iOS 10.3, 10.3.1,10.3.2, iOS 10+/iOS 9 for iPhone or iPad without Jailbreak. This is the most updated method to download Handjoy for iOS 11 on iPhone/iPad without Jailbreak. Download the alternative of Handjoy emulator, the latest Delta Emulator for iOS devices to play vintage GBA,GBC,PPSS games and much more. Download and Install HandJoy APK for Android. 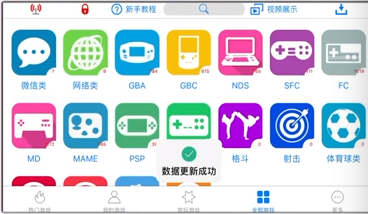 HandJoy emulator for android is an amazing emulator where it will let the users to download and play their favorite vintage NDS, GBC, GBA games at full swing.We have tried our best to download and Install HandJoy emulator for android devices. Just follow the below steps to download HandJoy Apk. Before downloading the HandJoy Apk for android, make sure that you have checked the “Unknown Sources” in settings. First of all download HandJoy Emulator apk from this link using your default browser in your device. Once you have done that, from the file explorer tap on the HandJoy APK file that you have downloaded. Now the installation screen will appear and click on Install. Handjoy will get installed automatically. From your Homescreen, tap on Handjoy and you will be able to access the application. Download and Install HandJoy Emulator for Windows 10/8.1/8/7/XP/Mac Laptop. Most of the users will be happier, if they are able to play their favorite vintage games on a big screen. 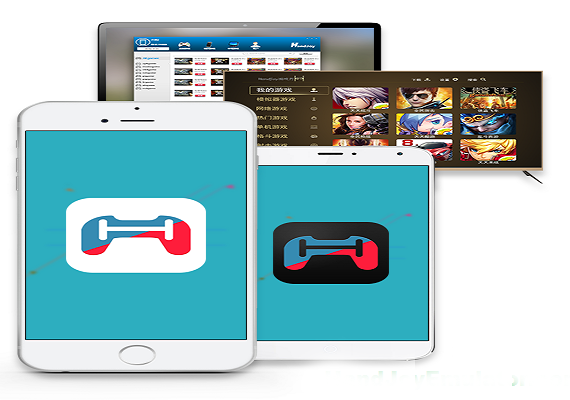 We are here to help you guys on downloading HandJoy Emulator on PC using Android Emulator. Just follow up the steps below to download HandJoy Emulator on PC using any Android Emulator. Android Emulator is a software which will let the users to experience an android device in their PC itself. Bluestacks and Nox are the best android emulators available in the market. Download Bluestacks and install it in your PC/Laptop like a normal .exe file. Once the application is installed, open it and you will experience an android screen on the screen. Sign up with your google credentials in order to access the play store and other features alike your android device. Download HandJoy APK file from this link and open it with Bluestacks Emulator. Now you will be able to access HandJoy Emulator on your PC without any hassle. Hope you guys have enjoyed this article on Download and Install Handjoy Emulator for iOS, Android and PC. If you have experienced any type of queries or issues, just ping us through the comments.